Deborah Bowe creates artwork in multiple mediums, including clay sculptures and paintings. 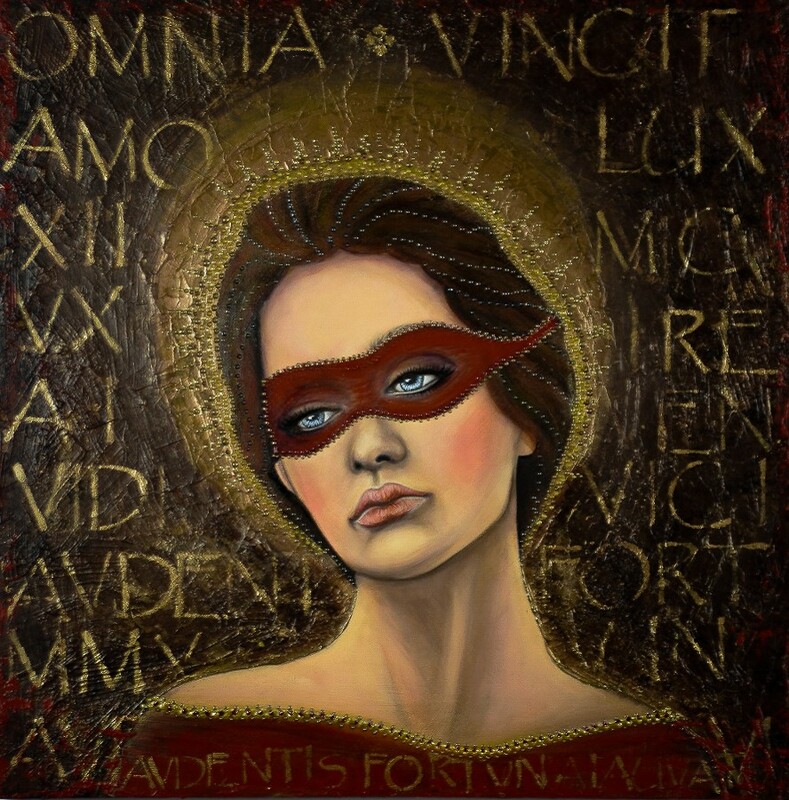 "Audentis Fortuna Iuvat" (Fortune Favors the Brave) by Deborah Bowe Her luminous paintings are often inspired by women of divine origins, courageous heroines, literature, poetry, nature, music and everything that surrounds her. Her artwork incorporates relief and textured, dimensional elements to convey the complexity and the emotion of our inner beauty. Creating art is my recollection of fragments of emotions, moods and feelings that are transferred and visualized onto canvas. I aim to capture the essence of femininity through the centuries and from my personal perspective. It is not necessarily about the beauty, it is the inner strength of each character that I wish to highlight with my art. 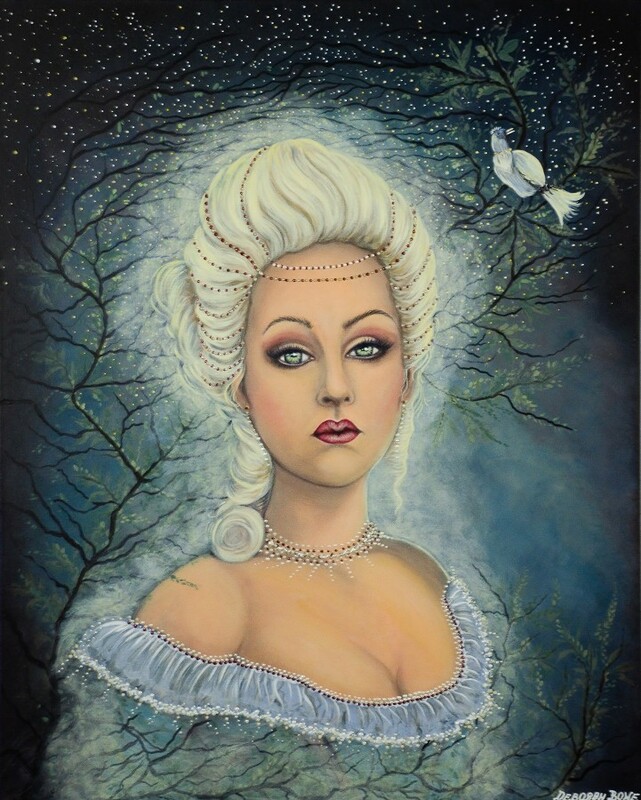 "Ode to Melancholy" by Deborah Bowe My paintings are often inspired by women of divine origins, courageous heroines, literature, poetry, nature, music and everything that surrounds me. I incorporate relief and dimensional elements in my portraits by experimenting with different mediums. I wish to convey emotions through my art and I hope that my artwork will also transmit feelings of kindness and beauty to the audience, across the space and time because art is what truly beautifies our world.